Remove swirl marks and scratches quickly and safely. Apply wax in a quarter of the time. This orbital polisher set the industry standard for performance with its powerful, 7-amp, 850-Watt motor. 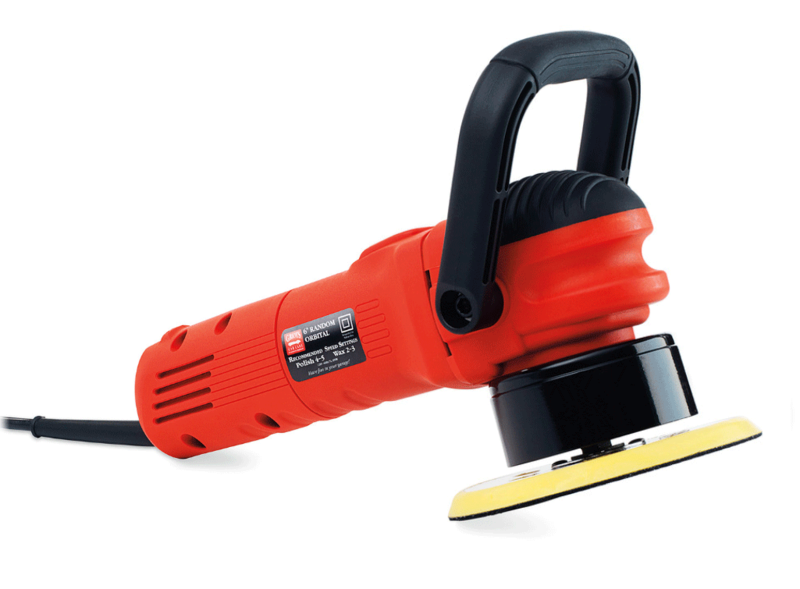 This orbital polisher offers the same power as the previous versions, but with a redesigned exterior to achieve a new level of comfort and ease of use. They kept the adjustable loop handle and added a rubberized grip to it. They added molded hand and finger grips to the housing, along with a domed, rubberized palm grip. The speed control dial and power switch were moved to more convenient locations. Polishing and waxing your paint with a random orbital has never been more easy, safe, and fun. With 6 speed settings, a 516 inches diameter offset, and low-end torque, this machine is ideal for polishing and waxing at any speed. The Griot's Garage random orbital is designed to provide you with a safe and easy way to achieve flawless results with minimal work. Powerful enough for a professional. Safe enough for a first-timer. Backed by Griot's Garage lifetime guarantee against defects. Comes with a 10 foot (18-AWG) power cord. Includes a 6 inches hook and loop backing plate. Foam pads not included. Meguiars DFP5 DA Foam Polishing Disc - 5"
Meguiars DFP6 DA Foam Polishing Disc - 6"